I’ve been working on a few projects that I can’t share with you yet, but I did a few things that I can. I free motion quilted the original hexacabin top (which can be seen at the end of the hexacabin tutorial) with a nice all-over stipple. I’m going to use it to demonstrate binding in class this week. It was so much fun to stipple around these birds from Violet Craft’s Waterfront Park line. 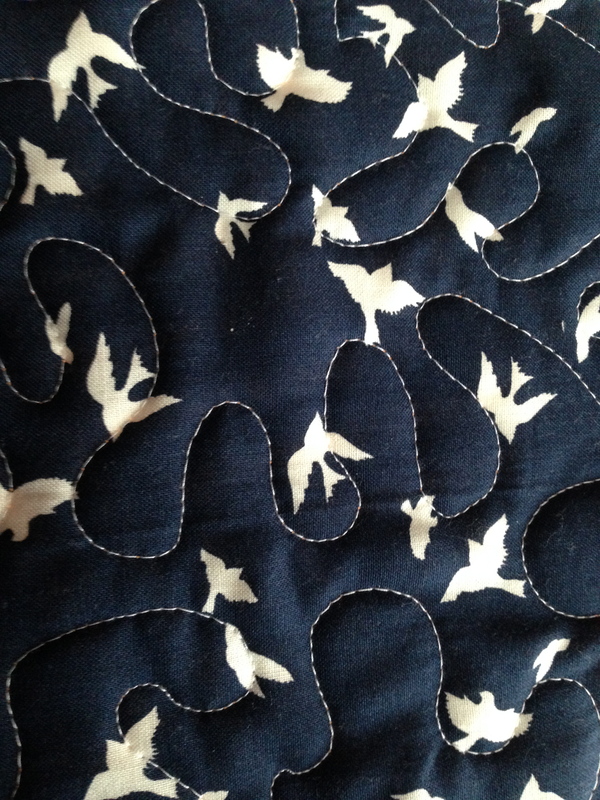 I thought of the stitches as wind around them and just focused into the quilting zone. 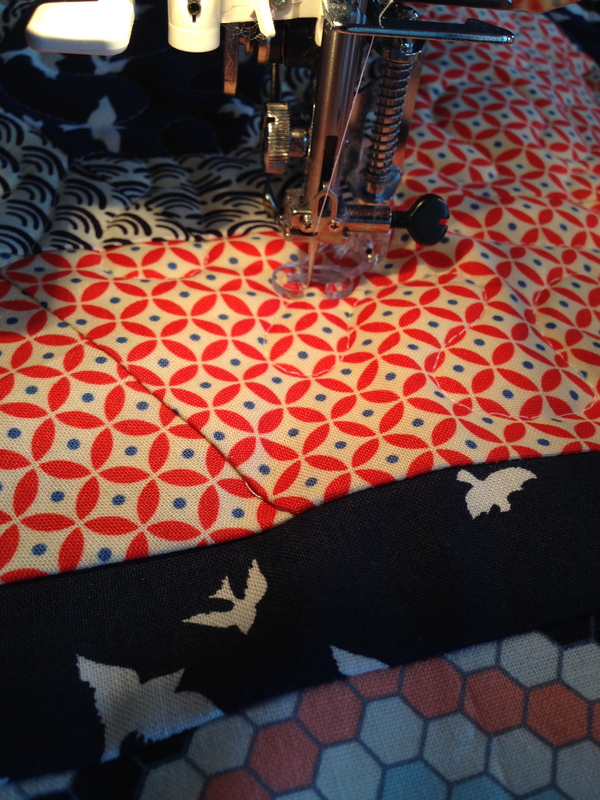 Hey, when you get into the zone with FMQ, you go with what works. I also made my first block for the Skillbuilder BOM at Pile O’ Fabric. This year Alyssa has designed an amazing modern quilt with solids called For the Love of Sewing. 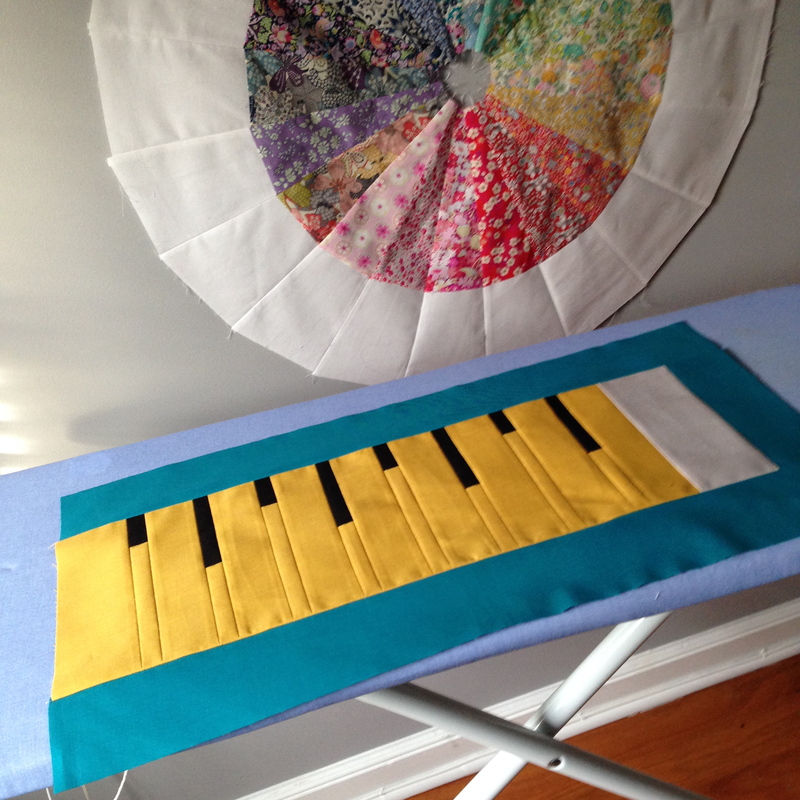 There’s lots going on behind the scenes with the guild and other quilting projects. I’m looking for my next wow quilt. Something ambitious and bold. I have some ideas. In the middle of winter, sometimes a little reggae helps give the illusion of warmth.